Stuck... In Sydney: NATIONAL COURT DISGRACE - Former PM let off traffic ticket - Caught red handed by police. NATIONAL COURT DISGRACE - Former PM let off traffic ticket - Caught red handed by police. 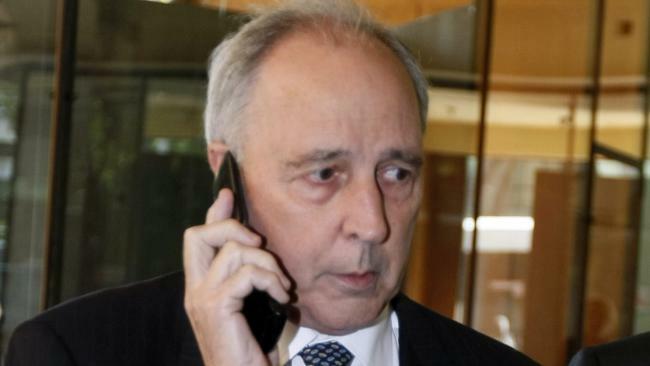 Citizens are Crying FOUL at Former Prime Minister Paul Keating who has been acquitted of driving through a red traffic light in central Sydney, with a magistrate finding there was "reasonable doubt'' about the allegation. The 66-year-old appeared at Sydney's Downing Centre Local Court on Tuesday to defend the charge that he ran a red light on Australia Day this year as he was driving from his Potts Point home to visit his mother in the city. Mr Keating, who was driving his daughter's green Peugeot hatchback, was issued a ticket by police officers who say they saw him drive through the red light at the intersection of Park and Pitt streets. In his evidence, Mr Keating said he had accelerated through the intersection and the light was yellow when he crossed the stop line. "The light was yellow, not a doubt in the world,'' he told the court. He denied police allegations that he was impatient on the day and in a hurry after being held up by Australia Day celebrations, which had caused traffic congestion. However, he admitted to driving in a bus lane in an attempt to ``shuffle'' through ``bumper to bumper'' cars. "I must find reasonable doubt. I dismiss the allegation,'' Magistrate Carolyn Barkell said. Outside court, the grey-haired Mr Keating told reporters he was pleased with the outcome. "I think it's important that ordinary people in the community, having received an infringement notice for an offence they didn't commit, basically understand that the system is not loaded against them, that they're entitled to have the courage of their convictions and I hope today there is some social good in that outcome,'' he said. This blogger thinks perhaps if the impatient Former PM had done more in his time to fix the transport problems in NSW, then he would have no need to use bus lanes illegaly and run red lights.